Passion is needed to inspire change. We have to inspire ourselves, or our people, to move. We have to make the objectives real and relevant. Why should we move? What happens if we don’t move? Many people who “know better” continue to eat, act or live badly even once they know their actions are destructive to their health. Think smoking, poor eating habits. Even when we are aware of the damage they do we often don’t change, as don’t think it will happen to us. A real urgency of the emotional needs has to be created. Cultivate a positive sense of identity and instill a growth mindset. Make change stick by reinforcing the value of successful change in the organisation – via recruitment, promotion, and new change leaders. Weave change into culture with the mindset that change is possible and achievable. Find the actions that are working, spread these shining moments. 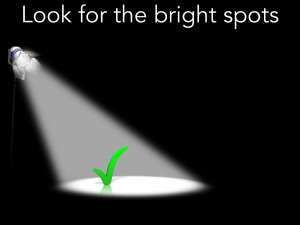 We tend to focus on what does not work and try fix it, instead of discovering the things that work and repeating them. Success can be viral, change behaviour, and make the transition easier. Create the culture of watching, doing and teaching. 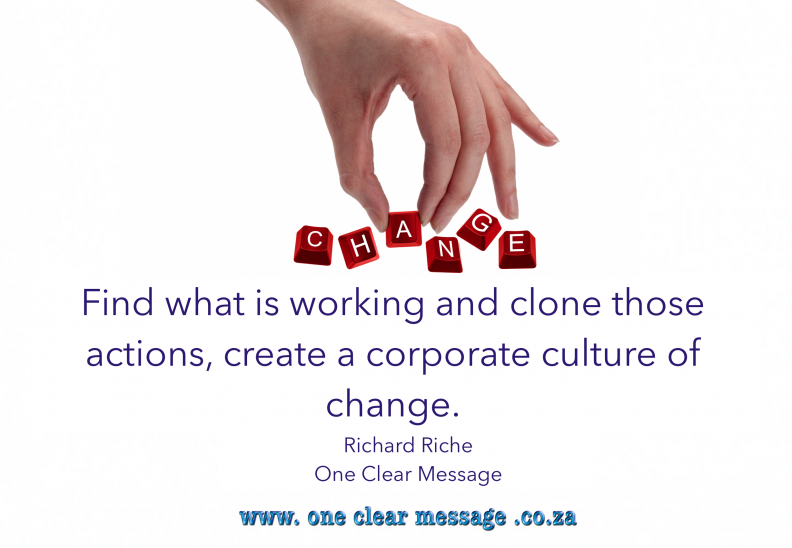 Find what is working and clone those actions, create a corporate culture of change. Focus on the success stories; share these wins, no matter how small. Clarify a simple vision and strategies, focus on the emotional component, meaning, and how the vision will be shared and acted on. Communicate for buy-in to those who need to know. Every person who represents the brand needs to know. 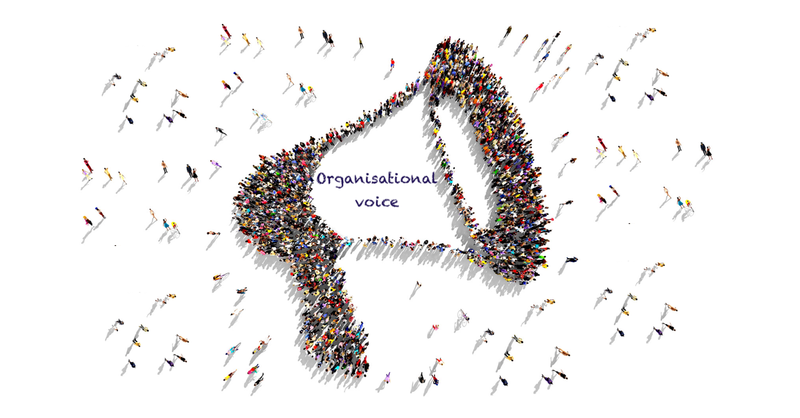 Involve as many people as possible, communicate the essentials, simply, and to appeal and respond to people’s needs. De-clutter communications – make technology work for you rather than against. Change is easier when you know where you’re going, why you want to get here, and why it is worth it. Make the emotional connection/reason clear using strategy stories … knowing something isn’t enough to cause change, if it were, no doctor would ever smoke. We need to feel something as our feelings drive change. A visual stimulus often has greater impact than logical arguments. Think of the shoes at the Auschwitz concentration camp – farm more emotional impact than a number. 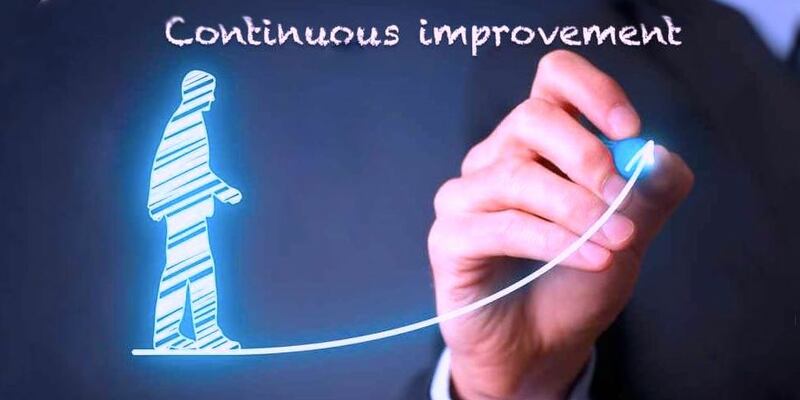 Think in terms of specific actions and behaviours required in change management. 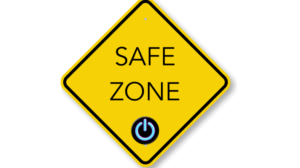 Remove the opportunity for choice paralysis by making the key steps clear and limit choices. Break the change down into smaller chunks so it’s more digestible. Long-term goals can be too abstract if they are not broken into shorter-term wins, and procrastination is far more likely. Trying to change your, or another’s, behaviour can be difficult if there are too many steps … When the situation changes, the behaviour changes. Use environment to alter behaviour and change peoples’ habits to change their long-term behaviour. Create short-term wins in the steps. Aims that are easy to achieve, bite-size chunks, are easier to achieve and motivate momentum. 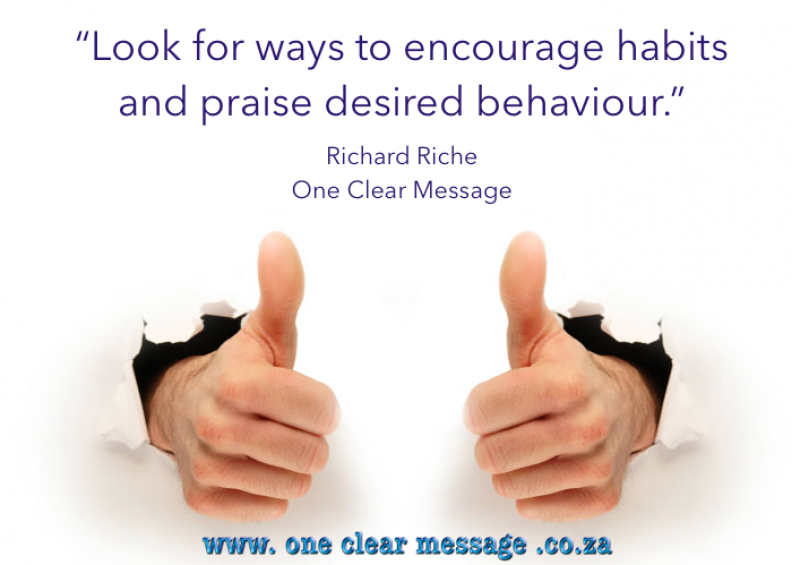 Look for ways to encourage habits and praise desired behaviour. Use the power of group dynamics (peer pressure) to create momentum. 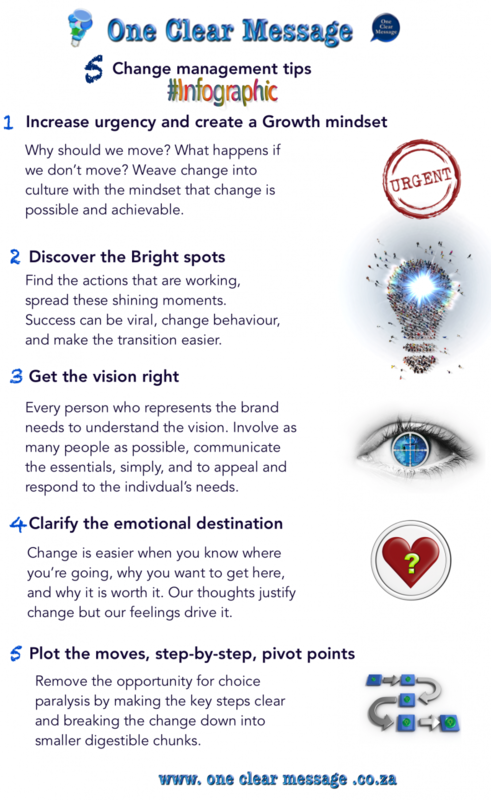 When it comes to change management keep these top 5 tips in mind.